Pictured at the Academic Recruitment Drive was the Board of Management of the Shannon Region Conference and Sports Bureau with Karen Brosnahan General Manager (far left), Tony Brazil, Chairman (centre) and Holly English, Business Development Executive (far right). 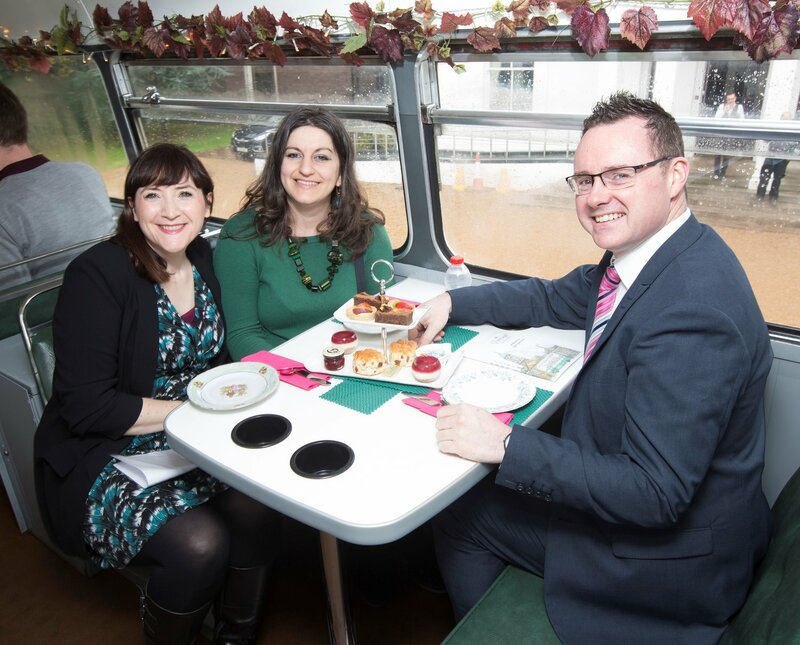 A Vintage Tea bus was set on University of Limerick campus as Fáilte Ireland, Shannon Region Conference and Sports Bureau and UL Conference and Events teams worked collaboratively on an academic recruitment drive to bring more international conferences to the area. As part of the academic recruitment drive, academic staff were treated to afternoon tea and a full presentation in the huge benefits of winning international conferences. Through its Conference Ambassador Programme, Fáilte Ireland offers a full suite of support, both practical and financial, to potential Ambassadors, and together with their partners in Shannon Region Conference and Sports Bureau, will support an academic throughout their journey from bid to event execution. Shannon Region Conference and Sports Bureau have created a dedicated bid book for UL that academic staff can use when presenting their academic institution overseas. 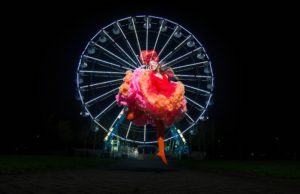 Coupled with the onsite support from the UL Conference and Events office, there a wide range of support to ensure its easy to bid and win this lucrative tourism business for Limerick. 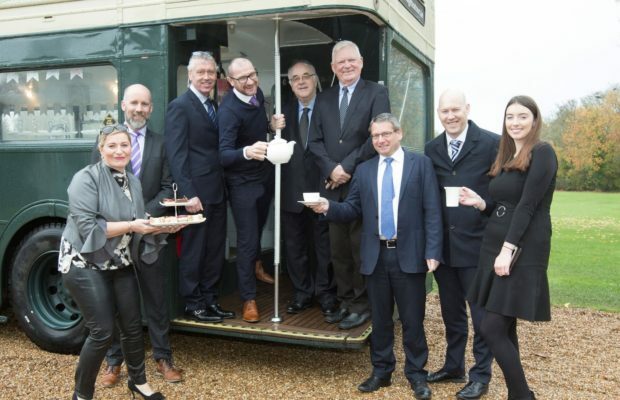 A Vintage Tea bus was set on University of Limerick campus as Fáilte Ireland, Shannon Region Conference and Sports Bureau and UL Conference and Events teams worked collaboratively to academic recruitment drive to bring more international conferences to the area. Fáilte Ireland research shows that each conference delegate is worth approximately €1,600 to the local economy, which is a strong multiplier and a very valuable form of tourism for Ireland and Limerick. Deborah Tudge, Academic Conference Manager, UL Conference, and Events added: “UL Conference and Events are always delighted to link in with Shannon Region Conference and Sports Bureau, and Fáilte Ireland, to promote the supports and services available to UL Academics and Staff who may consider bringing international conferences to the University. This academic recruitment drive event was a great success, and those who attended enjoyed the novelty of sampling a wide range of tea/coffee’s, sandwiches and cakes on the top deck of a 1961 Routemaster Bus, which parked outside Plassey House, giving a magnificent view of our beautiful parkland campus. 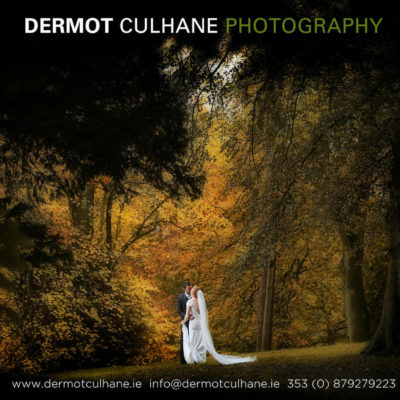 Many thanks to all those from UL who gave their time to come and chat with us”. 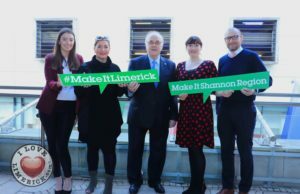 More academic recruitment drive events are planned for 2019 across all three academic institutions in Limerick. “Over 75 per cent of all international association conferences that come to Ireland do so at the direct invitation of a local Irish member or host, many of whom are University academics, and this is something which Fáilte Ireland’s Meet in Ireland maximises through our Conference Ambassador programme. “Thanks to its clusters of industry leaders, amazing hospitality, ease of access, venues and top universities, such as UL, Ireland manages to punch well above its weight in winning business events and we have been seeking out every possible opportunity to bring even more events to Irish shores. 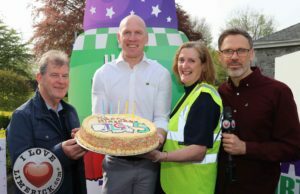 We thank all of the ambassadors from UL who came and joined us along with Shannon Region Conference and Sports Bureau in the Vintage Tea Bus on the day, and look forward to working with many of them in the future,” said Paul.